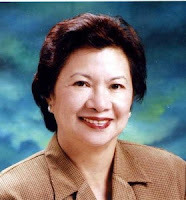 Governor Sol Matugas, in her first State of the Province Address (SOPA) Wednesday, Jul. 6 bared her plans and programs in the next years of her administration. Speaking before local government officials and employees, officials and representatives of line agencies, non-government organizations and other sectoral leaders, Matugas said her agenda for progress is coined in a program called HEALS which stands for health; education and environment; agri-aquaculture; livelihood and tourism; and spiritual renewal, social services, and security. The governor will also continue to improve revenue generation schemes to beef up the province’s financial resources to include requiring Tax Clearances prior to employment, promotion, and granting of terminal pays and other benefits, improved management of our economic enterprise and enhancing its policies and regulations, and implementation of the new Revised Tax Ordinance, among others. On Health, she will expand the “Panambay Sa Barangay” (barangay medical mission), using the sectoral approach, with the women, senior citizens, persons with disabilities and the youth, as among their target clients. On education, the governor will create more teacher items to respond to the huge demand and explore the possibility of increasing salaries of Local School Board teachers from P6, 000 to P8, 000. She will also declare the province as a reading province, continue the retooling of teachers on teaching strategies and other capability building trainings, intensify Project BEST, address classroom gaps such as repairs of dilapidated schools and construction of new schools and establish day care centers in all barangays. On environment management, the lady governor will champion Ecological Solid Waste Management in the municipalities with the help of the private sector through programs such as Siargao Green. “We will strictly implement the Solid Waste Management Act of 2000,” she said. On Agri-aquaculture, the governor said agriculture satellite offices will be given focus as a center for agricultural trainings and seminars to farmers and fisherfolks and serve as the center in the production and dispersal of fruit trees, show window for technology transfer of greenhouse farming, organic fertilizer production, organic agriculture, production of high value crops and artificial breeding for swine. As for livelihood and tourism, the governor said her major project is the establishment of the Provincial Training and Livelihood Center in Bad-as, Placer.